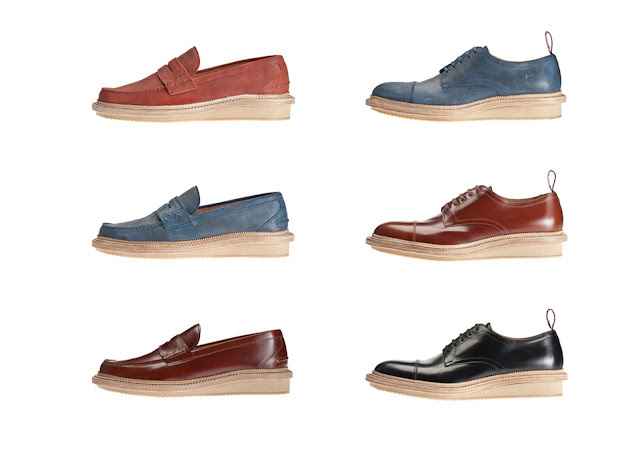 guiliano Fujiwara Spring Summer 2012 men shoes. Thicker outsole has become the smash hit of the shoes trend for men. The brand that has the most talked, undeniable, must be Prada. Since Spring Summer 2011 Prada lauched the collection of shoes with thicker outsole, it has became a trend that everyone are crazy of it. Now, quite a lot of brands has followed the trend and came out with thicker outsole shoes. I'm totally in love with it because it can virtually increase my height, in order to have good proportion of body stature.